If you’re looking for a detector that is fast, powerful, versatile and weatherproof – the Fisher F44 is it! This device is the ultimate weatherproof multi-purpose metal detector. This high quality machine will not disappoint as it’s a reasonably priced, high functioning machine. The Fisher F44 is an easy-to-operate device that will not have you skipping on your rent payment this month. This metal detector is great for entry level (or beginners) in search of jewelry, coins, artifacts, custom (search in your own parameters). This device has 5 search modes including the All Metal mode which actually speaks for itself. It is important to notice early on that the Fisher F44 is a very basic device and would best suit someone who is at the beginning stages of their new invested hobby. There are several pros to this device, such as it being so lightweight (only 2.3 lbs. ), adjustable Iron Audio to quickly pass up on trash, a waterproof control box and a manual/automatic balance. The screen its self is a big win, having so many great features such as the back lit option, the 9-segment discrimination scale (help determine what you might have found), depth indicator, battery power indicator, two-digital target identification and its overall large and easy to read. The machine is not recommended to be used as a beach metal detector. That might seem odd, considering I mentioned above that it’s waterproof. But a waterproof metal detector and a submersible in water metal detector are two different things. This device is great for the money if you’re looking for a sleek device at an affordable price; only costing around $350. This detector does not tell you exactly what item it has found on the ground, but it get’s pretty darn close. As advertised, it does do exactly what it says it’s going to do and it’s a great device for a beginner. 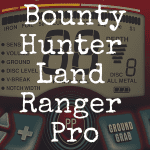 It wouldn’t be recommended for someone who is an advanced treasure hunter, as the device is still very basic. This device shouldn’t be purchased by someone that lives near the water and is looking for something to hunt in water. It’s just not able to be completely submersed in water. 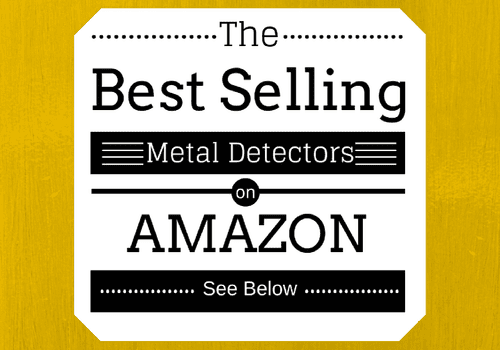 Below, let’s take a moment to view some of the best best selling metal detectors available on Amazon, and see how well they stack up to the Fisher F44. Let’s take a bit of time to compare the Fisher F44 to other metal detectors. And let’s begin with the F22. The Fisher F44 is worth the extra money that a beginner would spend to purchase the Fisher F22, and for a good reason. The Fisher F44 is actually the top of the line of the Fisher Series – for the beginner detectors. The consumer will get more bang for their buck with the Fisher F44 because it has the manual/automatic feature included. The Fisher F44 has the ground balancing feature (and the Fisher F22 does not). The coil that is included with the Fisher F44 (11” coil) is actually better for gaining a better depth than the Fisher F22 (9” coil). Having the bigger coil on the F44 means that it will be have a better overall sensitivity zone and is more sensitive to iron. The Fisher F22 is a good detector for someone who is a beginner, but it’s not going to be a solid device if you want to try it on wet sand near a fresh water lake. The sensitivity doesn’t seem to be completely up to par. The Fisher F44 also has more search modes including the All Search Mode. In all of reality, the Fisher F44 is only $100 more and is worth it! The big difference between the Fisher F44 and the Garrett AT Pro is that the Garrett AT Pro does not have a manual ground balancing feature (though it does has one more search feature, it must be used in the factory setting). Another feature that makes the Fisher F44 seem to be a little bit better would be that the Fisher F44 is completely waterproof and the Garrett AT Pro only has a waterproof coil. This really restricts the machine from advancing in harsh weather or near lakes. The Garrett AT Pro is also a somewhat heavy device and is limited to the weak or those trying to teach their children how to use the device. Consumers would overall be happier with the Fisher F44, but would need to think of what they’re needs are and what they’re interested in searching for. Both of these devices cost around $400, weight nearly the same, and were manufactured around the same time (2015/2016). However, they are slightly different. 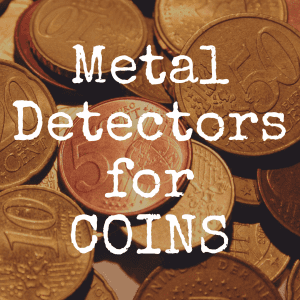 Both of these devices are great for searching coins, but differ for other items. 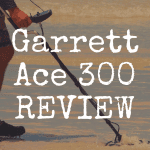 The Garrett Ace 400 has the following search modes: coins, jewelry, relics, custom, discrimination and pinpoint. The Fisher F44 has these following search modes: jewelry, coins, artifacts, custom and all metal. Unfortunately, the Garrett Ace 400 only has a ground balance at a factory preset level. However, the Fisher 44 has the computerized ground balancing and manual GB feature. The Garrett Ace 400 is not fully weather proof (coil only) and the Fisher F44 is weatherproof and waterproof coil. The Garrett Ace 400 has a two year warranty were the F44 has a 5 year warranty. The Fisher has a 9-Segment visual and numerical target id function and the Garrett Ace 400 has only the numeric target ID function. Though the Garrett Ace 400 is a great beginner machine, it’s not worth it in comparison. Overall, the consumer would be much happier with the Fisher F44. It’s a great performing detector at a great price. There really isn’t another affordable high functioning device on the market – especially the “custom mode”. This mode makes all the difference when trying to get organized in the field. To tag along with the above, Garrett does make fantastic metal detecting machinery. The Garrett Ace 350 is known for excellent iron discrimination, operating in salt water areas and at a higher operating frequency. Oh and to mention, it is the best Garrett Ace search coil ever for deep seeking. The Garrett Ace 350 and Fisher F44 are very similar, but the Fisher F44 has more features. However, the Garrett Ace 350 has more searching modes including coins, jewelry, relics, all metal, custom and pinpoint. The Fisher F44 has the following search modes: jewelry, coins, artifact, custom and all metal. They are both very good quality units that are very easy to use. However, just those few extra features make a difference making the F44 much better for the money spent. It’s a high end device at an affordable price. Consumers push that the Fisher F44 is a great machine because it sells at an affordable price and there really isn’t another machine on the market that has as many features as it does. The device also has an industry first called the “Custom Mode” where the consumer can assign tones to each category. It wouldn’t be advisable to submerse the machine fully, but a little bit of ran wouldn’t be an issue. The most noticeable difference between the Fisher 75 and the Fisher F44 would be the difference in price. The Fisher F75 is almost double in the price. The Fisher F75 starts off around $550 and the Fisher F44 stats off around $300. The devices have many similar features such as having auto/manual ground balance, a pin point mode, battery indicator, 5 year warranty, LCD screen, sensitivity adjustment, operating mode of all metal and discriminate, adjustable length and an 11” search coil size. However, these models differ vastly. Though the Fisher F44 is lighter, the Fisher F75 is far more advanced. The operating frequency to start off with is 13 kHz (and double d coil type) and is far better for discrimination. The upper hand for the Fisher F44 would be that the device is completely water resistant and has a water proof coil. The Fisher F75 only has a waterproof coil. The Fisher F44 would be better compared with the Fisher F11, Fisher F22 and Fisher F44 as far as being the best model out of that series. The Fisher F75 is completely out of the F series lead. It has the newest leading-edge technology and is great for multi-use and deep searching. The Fisher F75 is more equipment for intermediate to advanced searchers. The Fisher F44 is better for beginners. This device is perfect for someone who is looking to search in areas that have inclement weather or on the beach. The consumer will have a great experience hunting for jewelry, coins and relics. Iron Identifier Icon – sift through trash! Overall, the Fisher F44 would be recommended for anyone that is looking for a detector that will not break the bank and will be of high quality. 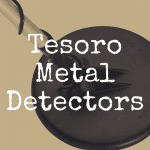 It’s an alright metal detector and there are better devices out there! It’s a great choice for someone who likes to keep things basic and perhaps is just starting out. 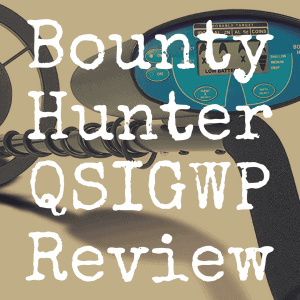 The device has some excellent features such as the five search modes, manual/automatic ground balance, adjustable iron audio and a weatherproof control box. The set backs of this machine would be where and when you can use it. It should not be used in damp areas such as around wet sand or in salty water. There are devices out there that could trump this one for a little bit more money. 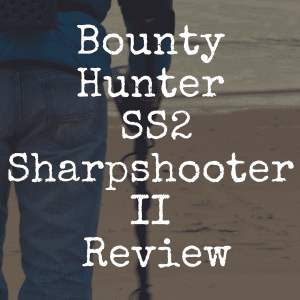 Many of the reviews focus on the very basic features that it does have such as it’s excellent screen. However, to some a screen that is easy to read and back lit is very important. The screen will is a key feature of this device that has many different features. The consumer should keep in mind that though these features are excellent, what does the user need the device to do? This machine keeps it very basic which might be what is desired out of the equipment. However, move on if you’d like something a bit more advanced!